A lot of people do not realize that Gastroparesis can really effect your dental health. I brush my teeth and use mouthwash, although I do not floss as much as I should. I also vomit a lot with Gastroparesis, and most of what I vomit is stomach acid. Stomach acid, in itself, is rough on your teeth because it strips the enamel from your teeth and it makes your teeth weaker. It also opens your teeth up to cavities and to breakages, because they are not as strong and protected without the enamel. To say the least, it has been rough on mine and I have been throwing up for years. This year, however, I have broken three teeth - I broke two back molars three days ago. I thought I had only broken one, but as it turns out, I broke another molar. I went to the dentist today and they could not save the very lower left back molar I broke, because once they cleared the cavity out, there was not enough tooth left to even salvage. They could save the other molar, though, by bone grafts and an implant. This is a VERY expensive treatment. I'm very lucky I have dental insurance, and they do cover implants which is quite rare, but I still have to pay out of pocket and it is going to be a bill over a thousand dollars. Most people cannot afford treatments like this. I'm fortunate I can. But, I wanted to write this article to bring awareness to the fact that Gastroparesis can cause other secondary issues. We do not just suffer from Gastroparesis and what it does to us - the vomiting, cramping, pain, the inability to digest food, etc. 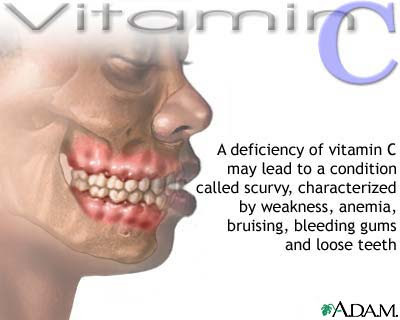 It can also cause issues that people would not think of - like dental issues or back problems. I'm going to focus on the dental issues in this article, since I'm dealing with just those issues right now. "Oral health professionals should be prepared to identify clinical findings associated with diagnosed or undiagnosed gastric diseases, dietary habits and psychological disorders (such as bulimia) that may result in vomiting and reflux. Gastric fluids are composed of hydrochloric acid, which may have a pH of 1.0 to 2.0.1 These strong acids can soften enamel and dentin, increasing the risk of tooth surface loss caused by bruxing, toothbrushing, or consuming hard or abrasive foods.2 In addition to the intrinsic effects of gastric fluids, erosive tooth wear may also be related to the extrinsic dietary acids found in many foods and sugar-sweetened beverages.3 As such, when erosion is detected, oral health professionals should identify its etiology and institute behavioral and preventive strategies to manage it.4 Gastroparesis is one example of a gastric condition that can have significant oral health consequences. In order to help guide clinicians toward effective management strategies, this article presents a case study of erosive tooth wear attributed to this condition. For example, the medical history of a woman with the chief complaint of extremely sensitive teeth revealed a diagnosis of gastroparesis. The patient was taking esomeprazole and omeprazole, both of which are proton pump inhibitors that suppress production of gastric acids. In addition to the pain and functional difficulties her dentition was causing, the patient was self-conscious about her smile (Figure 1). A comprehensive examination revealed erosion with dentin exposure, staining, decalcification, noncarious cervical lesions and gingival recession. These were noted in her record. The patient’s gingival display was adequate and within normal limits. A caries risk assessment was completed and, due to low salivary pH and hyposalivation, her risk level was deemed high. The patient in this case report presented with erosion and dentin exposure, which made her self-conscious about her smile. FIGURE 1.The patient in this case report presented with erosion and dentin exposure, which made her self-conscious about her smile. A treatment plan was formulated and discussed with the patient. A diagnostic wax-up of the proposed occlusal scheme was completed (Figure 2). Oral hygiene instructions were presented. The patient was prescribed a high-fluoride toothpaste and given xylitol mints and oral spray containing a pH-neutralizing agent.8 The patient was also counseled about dietary habits. Additionally, the oral side effects of her gastroparesis medications — including decreased salivary flow leading to xerostomia — were discussed. FIGURE 3. A splint was fabricated at the new vertical dimension of occlusion. FIGURE 4. Temporary splinted composite onlays were placed at the new vertical dimension of occlusion. new vertical dimension of occlusion. FIGURES 5A and 5B. The posterior teeth and quadrants were prepared to receive lithium disilicate onlays and crowns. The patient accepted the proposed treatment plan. A smile design was completed based on the wax-up, and the patient was eager to begin treatment. Before preparing the teeth, the patient was placed in temporary splinted composite overlays at the new vertical dimension of occlusion (Figure 3 and Figure 4). The patient adapted well to these changes. FIGURES 6A through 6C. Posterior lithium disilicate onlays and crowns are ready to be delivered. With the new vertical dimensions of occlusion, the maxillary anterior teeth were prepared for crowns. Anterior teeth #6 to #11 were prepared, impressed and temporized for lithium disilicate restorations. At the next appointment, lithium disilicate crowns were applied to teeth #6 through #11. The patient indicated she was pleased with the esthetic result. At the following appointments, posterior quadrants were prepared and restored sequentially, using bonded lithium disilicate onlays and crowns (Figures 5A and 5B; Figures 6A through 6C). Composite buildups were completed on the lower anterior teeth #22 through #27. The treatment eliminated the patient’s dentinal hypersensitivity and improved oral function and appearance (Figures 7A and 7B). FIGURES 7A and 7B. The patient reported being pleased with the final results. The therapy eliminated hypersensitivity and improved oral function and appearance. 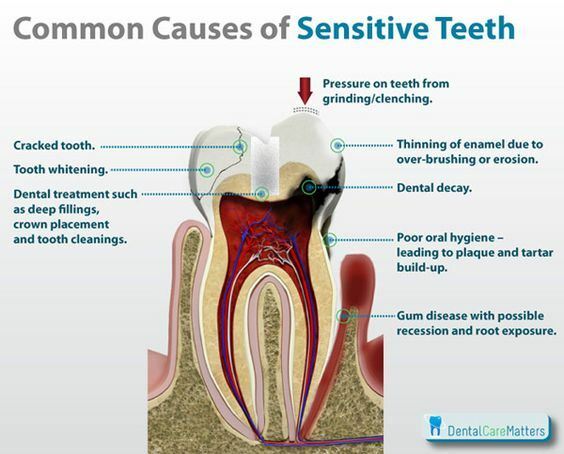 As noted, dental professionals should be able to identify dental erosion and erosive tooth wear,11,12and be adept at recognizing the signs of dental erosion, determining the etiology, and discussing clinical findings with patients. Sensitive findings in the medical history, such as the effects of eating disorders (e.g., anorexia or bulimia), should be handled cautiously.7 Patients who are unaware that gastric acid may cause erosion should be referred to their physician for additional diagnostic testing. Patients should also be educated about the risks acid reflux poses to oral and systemic health. In cases in which it is determined that erosive tooth wear is due to dietary habits, patients should be advised to limit their intake of acidic foods and beverages.13 They need to understand that it is far better to manage tooth surface loss early, as opposed to taking a 'wait-and-watch' approach that may lead to more extensive and expensive restorative dentistry. These patients should be placed on a frequent recare schedule that includes regular caries risk assessment, monitoring of dietary acid intake, and reinforcement of preventive strategies. This will help to support patients’ oral health, as well as restoration stability and longevity. 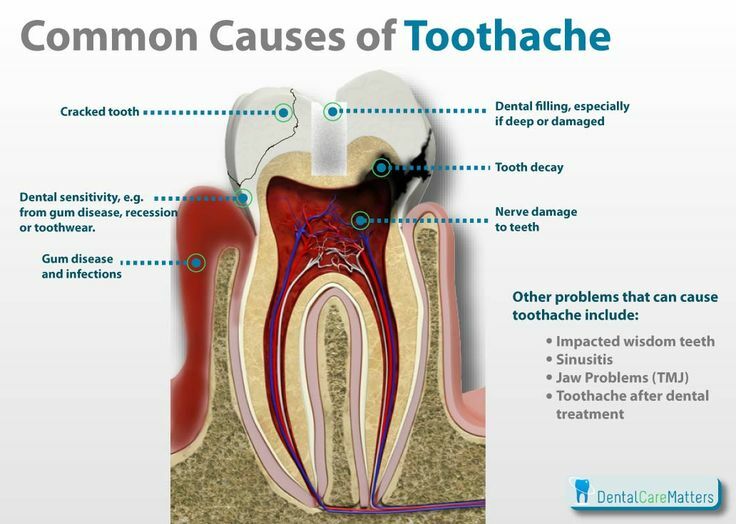 Even though the etiology of dental erosion is multifactorial, clinicians should be able to identify possible causes and discuss these with patients. Oral health professionals should also work with patients’ physicians to ensure appropriate counseling and treatment. In addition to managing erosive tooth wear, it is important for dental team members to understand the need to educate patients about the causes of erosion — and what can be done to prevent its potentially damaging oral health consequences. Whether the result of gastric disease, dietary habits or psychological disorders (such as bulimia), the introduction of gastric acids into the oral cavity can have negative ramifications for oral health. As appropriate, patients who are unaware that gastric acid may cause erosion should be referred to a physician for additional diagnostic testing. Patients should also be advised about the risks acid reflux poses to oral and systemic health. These patients should be placed on a frequent recare schedule that includes regular caries risk assessment, monitoring of dietary acid intake, and reinforcement of preventive strategies. The authors would like to thank Susan Do, DDS, for providing the images. Moazzez R, Bartlett D. Intrinsic causes of dental erosion. Monogr Oral Sci. 2014;25:180–196. Ranjitkar S, Smales RJ, Kaidonis JN. Oral manifestations of gastroesophageal reflux disease. J Gastroenterol Hepatol. 2012;27:21–27. Barbour ME, Lussi A. 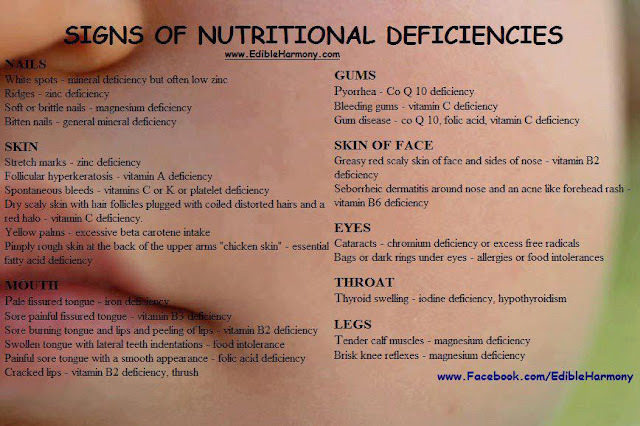 Erosion in relation to nutrition and the environment. Monogr Oral Sci. 2014;25:143–154. Lussi A, Caravalho TS. Erosive tooth wear. A multifactorial condition of growing concern and increasing knowledge. Mono Oral Sci. 2014;25:1–15. Camilleri M, Grover M, Farrugia G. What are the important subsets of gastroparesis? Neurogastroenterol Motil. 2012;24:597–603. Camilleri M, Parkman HP, Shafi MA, Abell TL, Gerson L, American College of Gastroenterology. Clinical guideline: management of gastroparesis. Am J Gastroenterol. 2013;108:18–37. Lussi A. Dental erosion clinical diagnosis and case history taking. Euro J Oral Sci. 1996;104:191–198. Bellamy R, Harris R, Date RF, et al. In situ clinical evaluation of a stabilized stannous fluoride dentifrice. Int Dent J. 2014;25:197–205. Christensen GJ. The all-ceramic restoration dilemma: where are we? J Am Dent Assoc. 2011;142:668–671. Spear FM, Kokich VG, Marhew D. Interdisciplinary management of anterior dental esthetics. J Am Dent Assoc. 2006;137:160–169. Barbour M, Lussi A, Shellis R. Screening and predication of dental erosion. Caries Res. 2011;45(Suppl 1):24–32. Hellwig E, Lussi A. Oral hygiene products, medications and drugs — hidden etiologic factors for dental erosion. Monogr Oral Sci. 2014;25:155–162. Cochrane NJ, Cai F, Yuan Y, Reynolds EC. Erosive potential of beverages sold in Australian schools. Aust Dent J. 2009;54:238–244. From Decisions in Dentistry. February 2017;3(2):28–31. **SIDENOTE: You can see the figures and diagrams by clicking on the link above." My friend Robin decided to go with an implant instead of a crown. 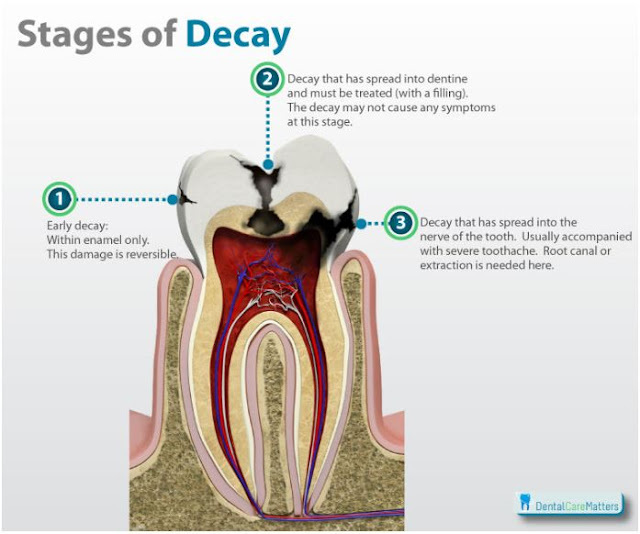 She said that even stomach acid (GERD or if you vomit it up) can still get under a crown and decay your tooth. "Tooth on left has a crown-decay under gum. Tooth on right has filling- decay under gum line. 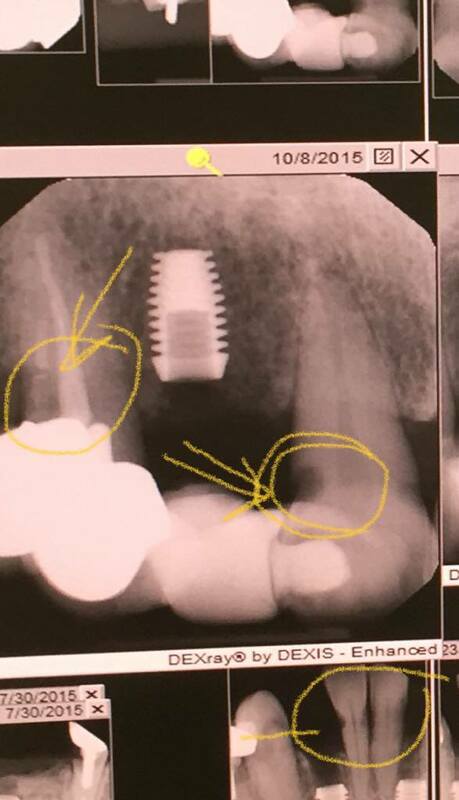 That foreign object is a Bicon Implant. Stomach acid ate my teeth from under gum line. Mine is from acid backwash at night"
"You call it a cavity. Your dentist calls it tooth decay or dental caries. They're all names for a hole in your tooth. 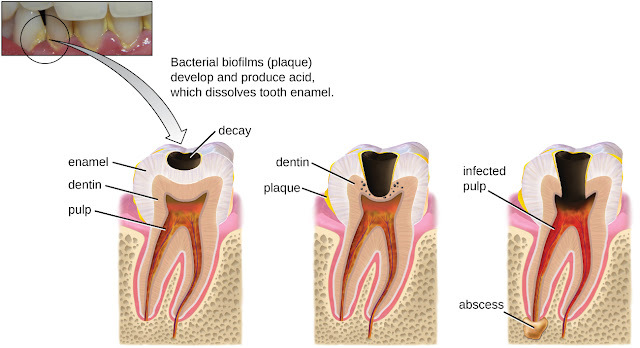 The cause of tooth decay is plaque, a sticky substance in your mouth made up mostly of germs. 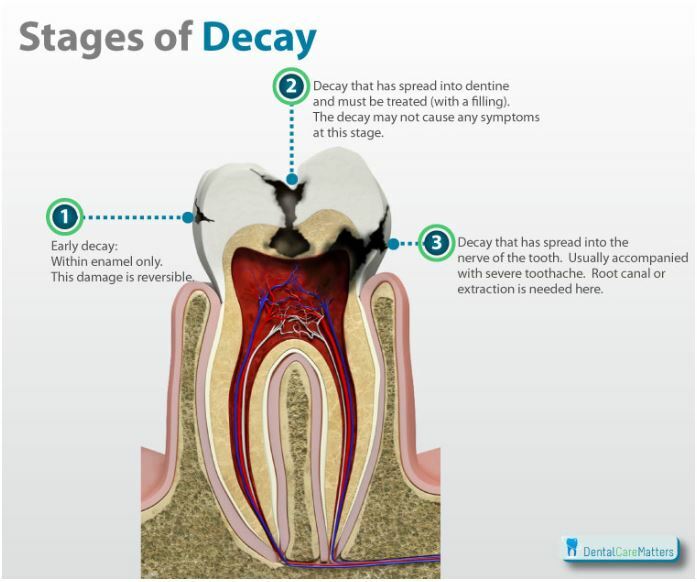 Tooth decay starts in the outer layer, called the enamel. 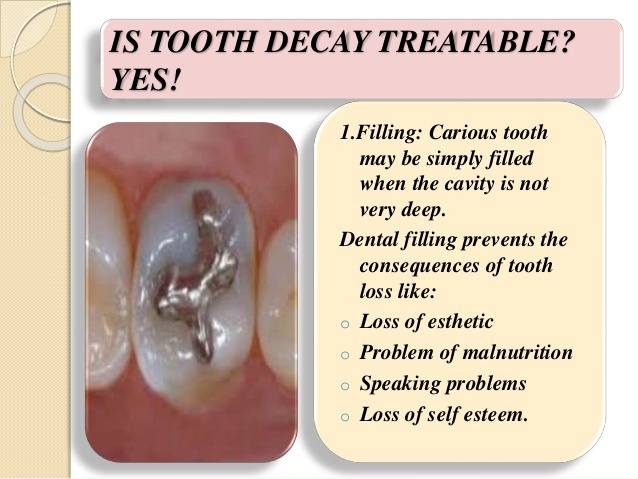 Without a filling, the decay can get deep into the tooth and its nerves and cause a toothache or abscess." This is according to Medline Plus (https://medlineplus.gov/toothdecay.html). "Even though the etiology of dental erosion is multifactorial, oral health professionals should be able to identify possible causes and discuss these with the patient. Educating patients on causes of dental erosion is important in clinical practice. Oral health professionals should work with patients' physicians to ensure proper counseling and treatment management. In particular, dental hygienists can play a key role in the identification and management of severe erosive tooth wear." So, what that means for us Gastroparesis warriors is that we are just going to have to stay away from acidic foods (if you can tolerate them), and continue to brush/floss daily. 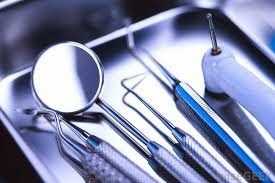 We should go in for regular cleanings but be sure to tell the hygienist or dentist you have Gastroparesis, even if you have to explain it to them. If you can get your medical records from your GI to bring with you to the dentist, they may have a better idea of where your treatment is at and what you are doing - what medications you could be on that might help erode enamel/teeth quicker, and that sort of thing. It's important to call the dentist as soon as a tooth starts bothering you. Do not wait, because if you wait, it could break like mine did, or be a lot more expensive to fix in the long run. So basically, all we can really do is stay on top of our dental health, which is hard since we have SO MUCH to keep up with health wise - records, doctor's visits, and so on. But, I haven't been able to find too many articles about tooth decay and Gastroparesis except for the one study above. I hope this helps you some. If I learn more, I will update this article. This is such a great resource that you providing and you give it away for free. I love seeing websites that understand the value of providing a quality resource for free. It is the old what goes around comes around routine. By preventing gum disease you can reduce the risk of heart disease. Regular dental care and dental visits can help to control your dental discomfort.